If you have a perennial garden, you probably know all too well that coordinating bloom times is a tricky business. I’m quite sure I’ll still be working on it in my next life! But after decades of experimentation, there’s one season I think I have mastered: spring. 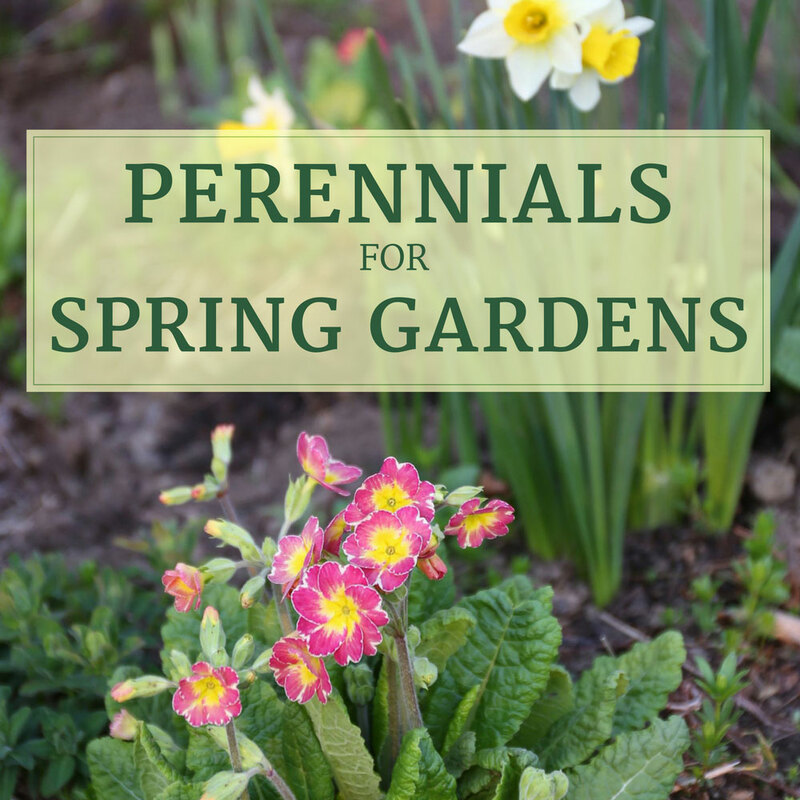 I now have a palette of perennials that provide reliable early season color and are also perfect partners for spring bulbs such as daffodils, tulips, fritillaria and scilla. 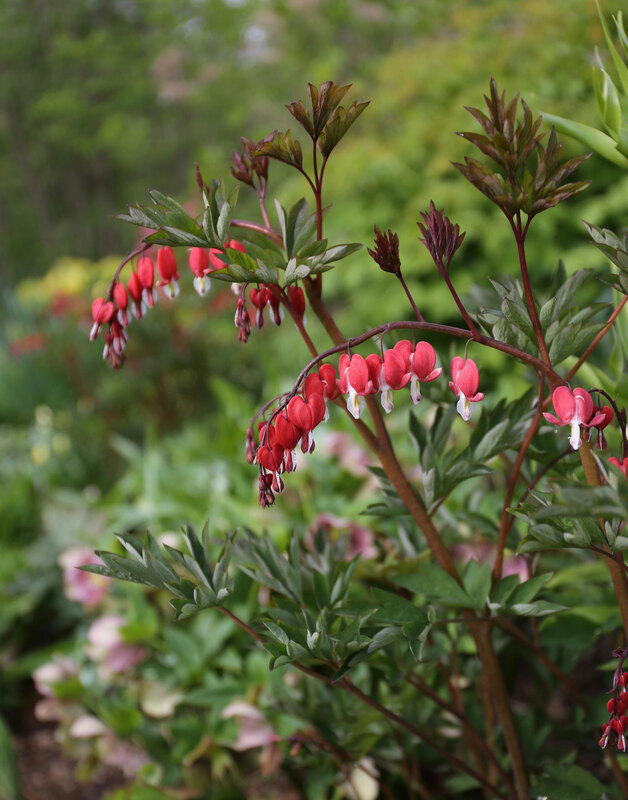 Spring perennials shown here and described below include euphorbia and dicentra. Though it’s too late to enjoy these plants in your garden this year, now is a good time to plant them. They will have time to settle in and next spring you can look forward to at least a month of flowers while you’re waiting for the peonies and clematis to open. Note that many of the plants listed below prefer some shade and need relatively consistent moisture. So they’re not a solution for everyone. Also, if you struggle with deer, you’ll be happy to know that all these plants are deer resistant. Dicentra spectablis ‘Valentine’ also known as bleeding heart. Dicentra/Bleeding Heart. For perennial gardens, there are two types of dicentra. The traditional favorite is Dicentra spectablis, also known as old-fashioned bleeding heart. It starts blooming along with the daffodils. The plants grow 3 feet tall and the flowers are displayed in a row on slender, arching stems. The flowers can be deep pink, red or white. After flowering, the entire plant dies back to the ground. The other type, Dicentra eximia, is sometimes called fernleaf bleeding heart. These plants grow 6 to 10” tall and display clusters of smaller, slightly less distinct hearts in the same color range of white, pink and red. Flowering begins a few weeks after Dicentra spectablis and continues on and off all summer. The foliage stays fresh-looking and attractive until fall. Helleborus orientalis. The blossom at the center of this photo has already lost its petals. What you see now is the showy calex, which is like a saucer beneath the flower. These persist for several weeks. 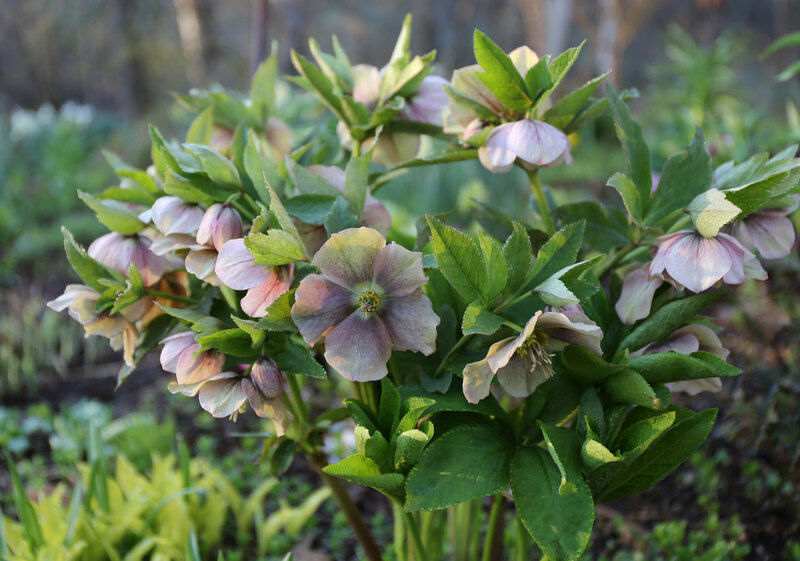 Hellebores — at all stages — are excellent cut flowers. Hellebore. These clumping-forming plants have leathery leaves and rose-like flowers. They grow 12-18” tall and their downward-facing blossoms are borne in clusters. The earliest-blooming is Helleborus niger, which has white flowers on short stems. Helleborus orientalis is a taller plant and is available with single or double flowers in a wide range of colors, from cream through pink and burgundy. After hellebore flowers fade, the calex remains and extends the show for another couple weeks. One of the many different types of primroses. Primula/Primroses. There are dozens of different types of primroses that bloom from early through late spring. Hybrids are the most commonly available and they offer the widest range of color options. 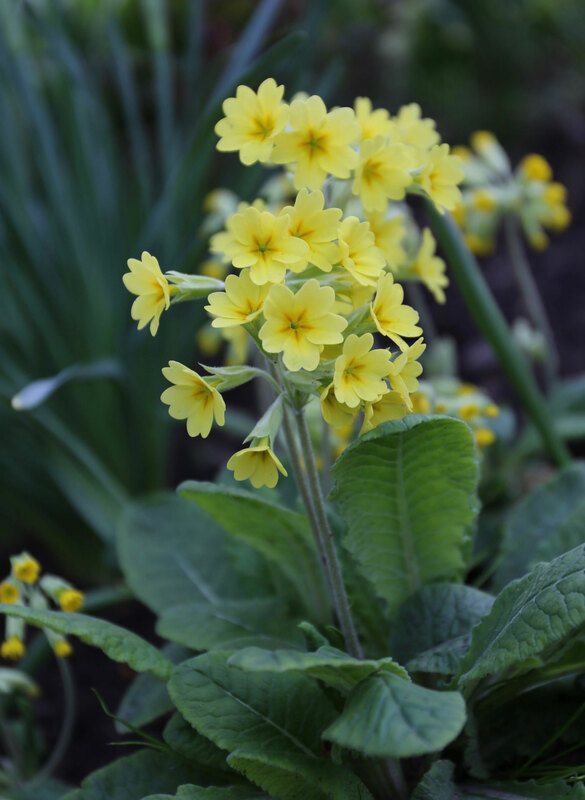 Traditional favorites such as cowslips and drumstick primroses have their own unique charm and are worth seeking out. Primroses self-sow, but in a good way. To encourage this, I leave the spent flowers in place until the seed pods are dry and empty. At that point, you can cut off the stems (and the foliage, too if it’s looking limp and yellow) and the plants will generate fresh leaves. 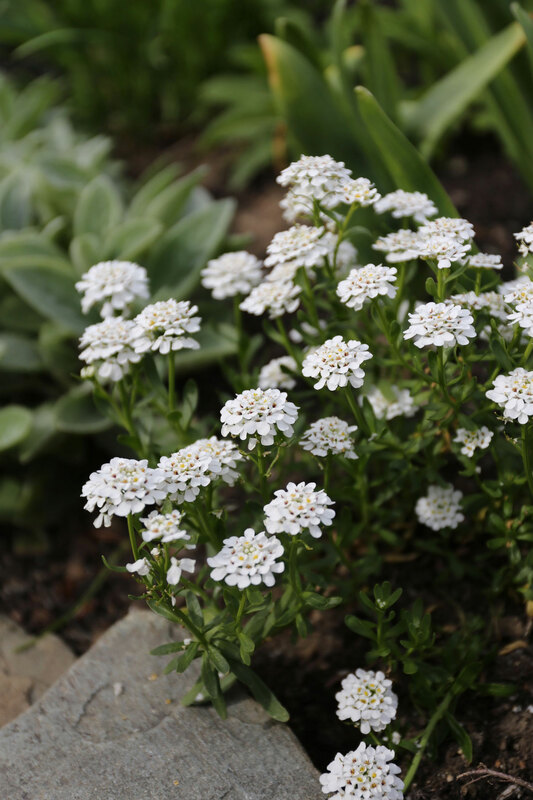 Iberis sempervirens, commonly known as candytuft. Iberis/Candytuft. This long-lived, creeping perennial grows 6 to 12” tall. It is happiest when planted in a sunny nook, especially in or near a rock wall. The leathery foliage stays deep green almost year-round. The blinding white flowers last for weeks. Shear off the spent flowers and the plant will provide an attractive carpet of foliage all season long. Euphorbia polychroma, commonly known as cushion spurge. Euphorbia/Spurge. 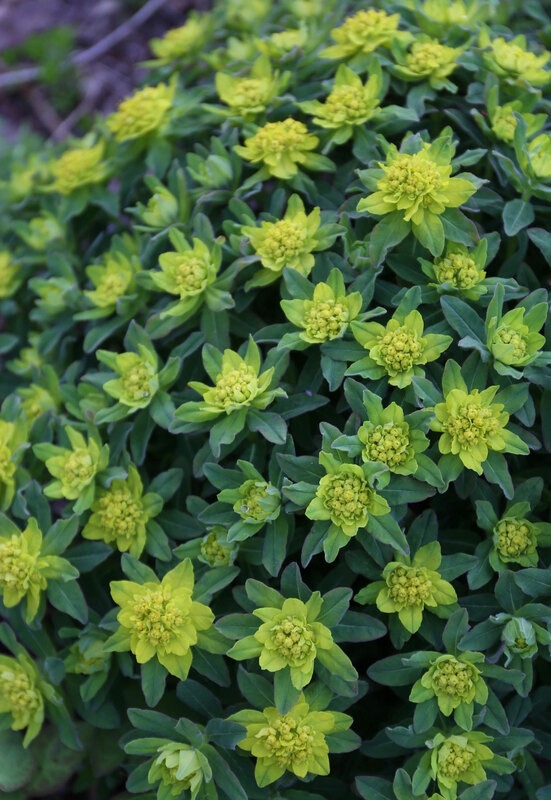 Euphorbia polychroma is a mounding plant with brilliant, chrome yellow flowers that last for a month or more. The bracts (modified leaves) that surround the flowers magnify the color impact. Another good euphorbia worth considering is Euphorbia dulcis ‘Chameleon’. It has maroon leaves and burgundy flowers. These two plants look great together and will flatter whatever plants are growing nearby. Tiarella cordifolia, commonly known as foamflower. Tiarella/Foamflower. These easy, long-lived plants are closely related to heuchera. The leaves are smaller and have a fuzzy surface and prominent red or purple veins. 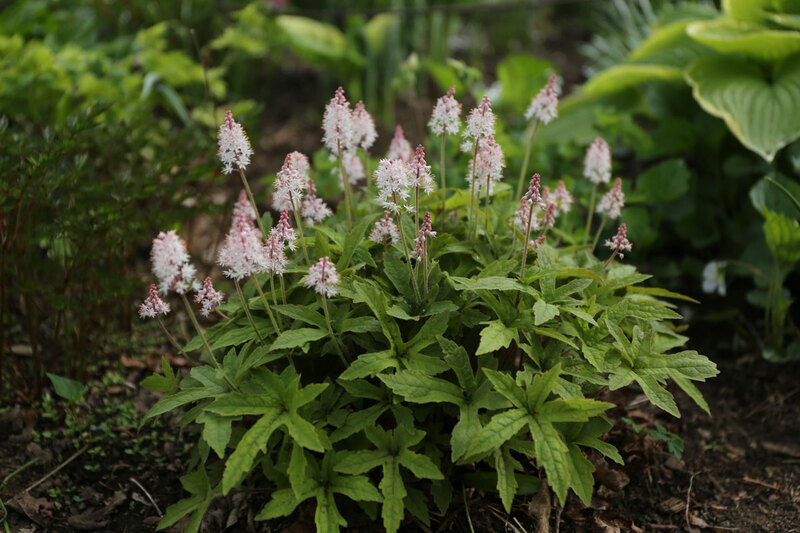 Tiarella grows just 8 to 12” tall and has pale pink, bottle-brush flowers. Native tiarellas are excellent groundcovers because they spread by stolons or runners. If you want a plant that will stay where you put it, seek out a named variety such as ‘Sugar and Spice’ or ‘Pink Skyrocket’. And a Few More Perennials for Your Spring Garden! Pulmonaria officinalis is also known as lungwort. Pulmonaria/Lungwort. Pulmonaria is named for the spotted patterns on its soft, slightly hairy leaves. The plants grow 12-18″ tall and maintain a neat, mounding habit. 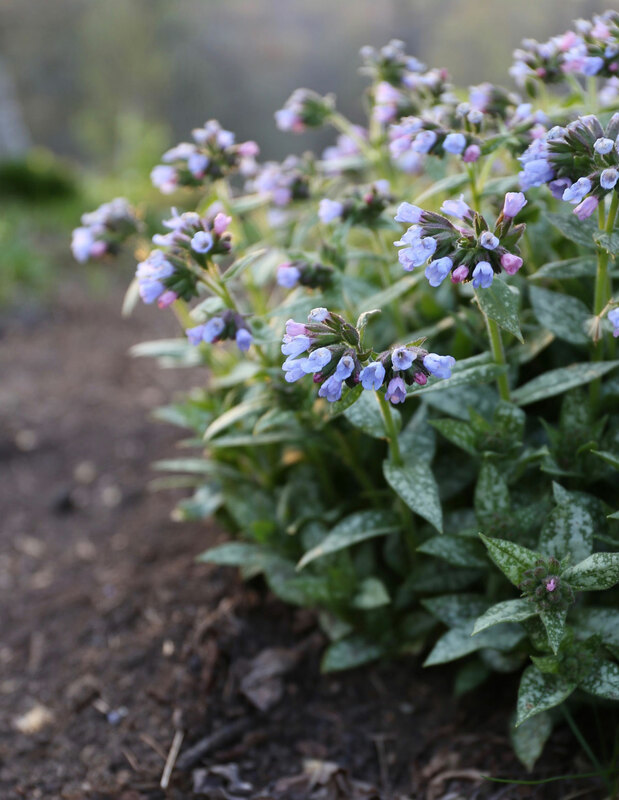 This is a prolific spring bloomer, with flower clusters that typically display a mix of blue and pink florets. Bees love these flowers. Epimedium, also known as barrenwort. Epimedium/Barrenwort. This graceful, well-mannered plant grows 12-18” tall. The heart-shaped leaves often have reddish edges both early late in the growing season. 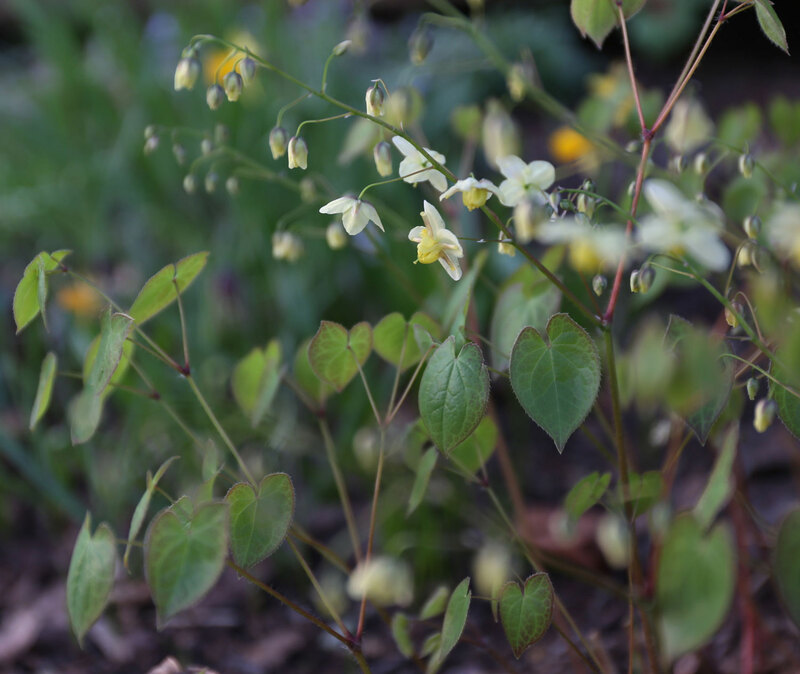 Epimedium flowers resemble little parasols and are displayed in airy clusters, with flower colors ranging from white and pink to yellow and even orange. This is a good plant for dry shade. Miniature Iris. These diminutive iris flower almost a month before their full size relatives. Crested iris are both the earliest and the tiniest of the lot, standing just 3” tall. 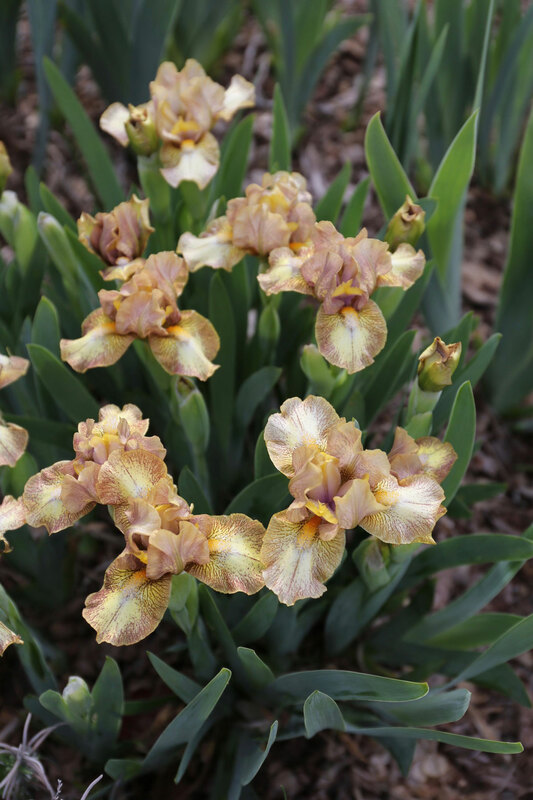 Dwarf bearded iris range in height from 5 to 12” tall and look like miniature versions of their larger cousins. They are available in the same range of beautiful colors. 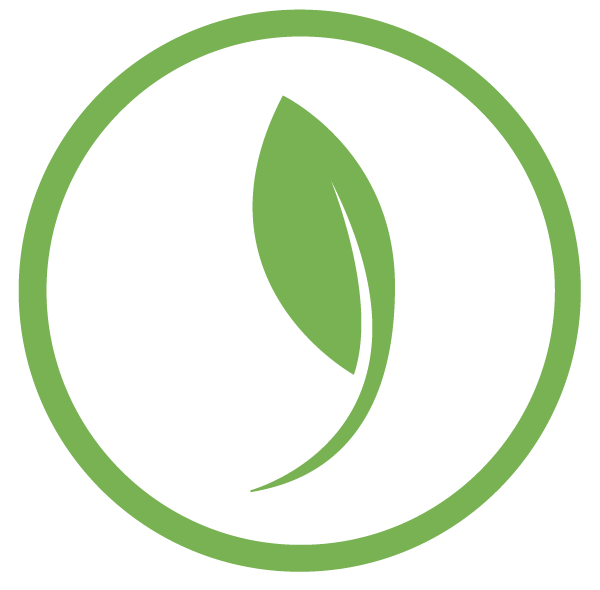 Foliage plants also have an essential role in spring gardens. 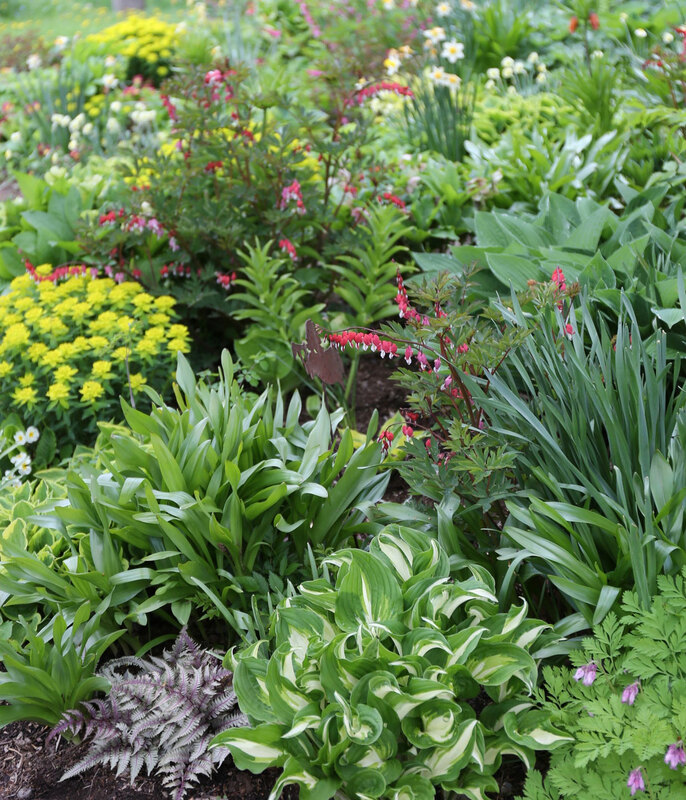 Some of the options include hostas, ferns, heuchera, lady’s mantle and sedums. And don’t forget to plant bulbs! From the first snowdrops to the last of the late tulips, spring-flowering bulbs are the jewels of any spring flower garden. Interested in ordering, but wonder if clematis plants are not available till December for purchase. So I order in Dec and they get shipped in spring? Planting is not viable in Nebraska from usually late Oct till Early May. I am feeling ignorant about time frame to purchase & plant times. 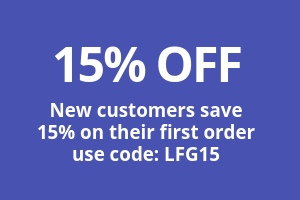 Hi Margaret – you may pre-order clematis plants from Longfield Gardens starting in January. They will not be shipped to you until April or early May – at the proper planting time for your growing zone.